THE GREAT WINES OF THE WORLD consistently express the distinct qualities of the estates from which they come. In Napa, Quintessa is such a wine. To preserve the natural mosaic of the vineyard, each small plot is farmed, harvested and vinified individually so that the nuances of the land shine through. Afterward, the best components are brought together to create a wine of elegance and harmony. 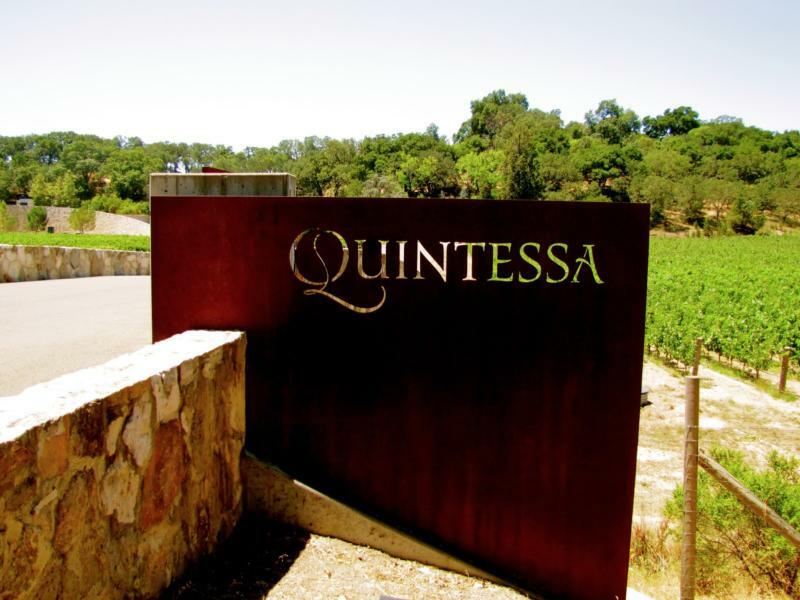 Depending on the vintage, Quintessa may include some or all of the five varietals grown on the property: Cabernet Sauvignon, Merlot, Cabernet Franc, Petit Verdot and Carménère. The fruit is harvested early in the morning, then sorted and gravity-fed into oak, stainless steel or concrete tanks and vinified. Once fermentation and maceration are complete, the wine from each plot is aged separately for up to two years in French oak. After the final Quintessa blend is created, the wine is bottled and laid down for yet another year before release. Wine Enthusiast 93 "For the 2011 vintage, Winemaker Charles Thomas blended Cabernet Sauvignon, Merlot, Cabernet Franc and Petit Verdot from the winery’s 280-acre biodynamic and organically farmed estate in the heart of Rutherford. The effect is memorable, the wine pungent in red plum and cherry.